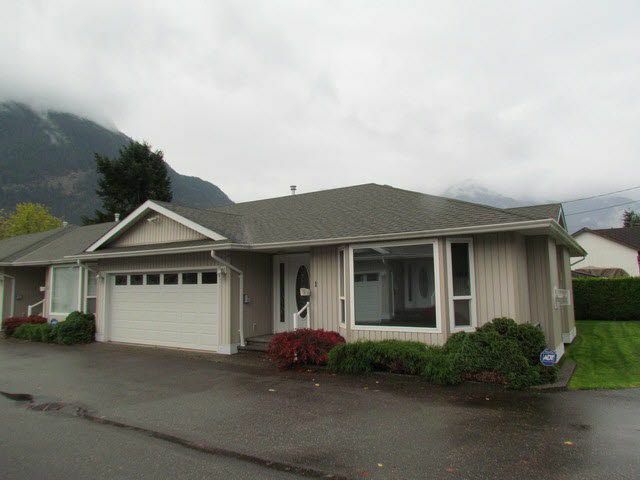 Tucked up against the Coast & Cascade mountains Hope is just a 90 minute drive East of Vancouver, as the meeting point of highways retirees that reside in this ideal location benefit from the easy central location & extraordinary landscape ! This lovely age restricted complex is very well managed featuring rancher style homes with double car garages. These homes rarely come available for sale. If you are near retirement & are seeking serenity, nature, affordable living all nestled on a very quiet street & within a few minutes drive from recreation, this home is for you. Don't delay & schedule a time to view this home right away!